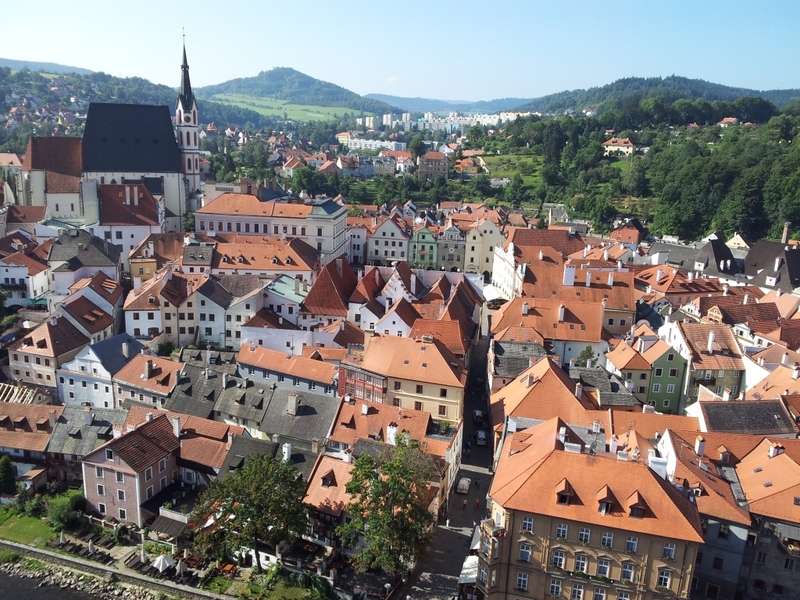 Let’s get back to the Renaissance era and visit the extraordinary pearl of our country – Český Krumlov. 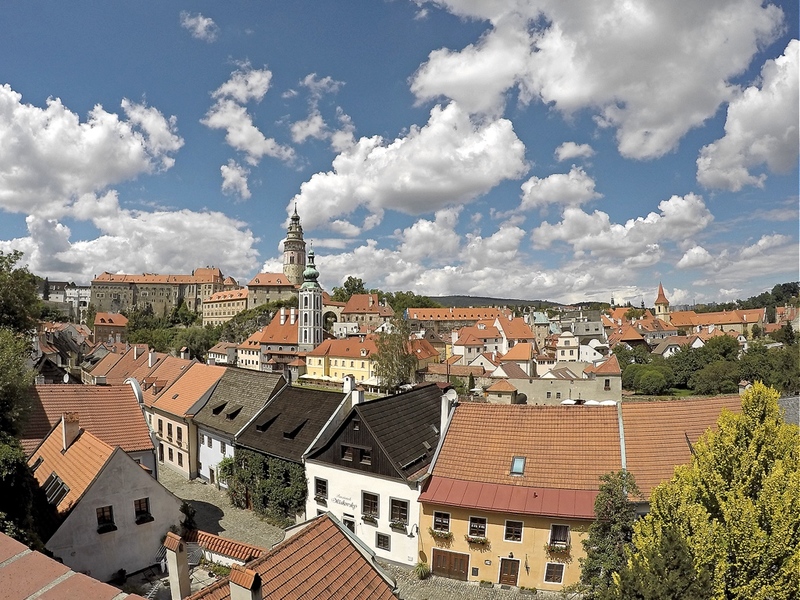 An amazing castle overlooking Český Krumlov is definitely one of the places in Czech republic worth visiting. Over three centuries it was the seat of the Rosenbergs who influenced the fate and architecture of the whole region. 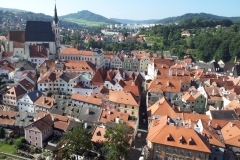 Castle in Český Krumlov offers many richly decorated interiors, one of the highlights is the famous Masquerade Hall, on whose walls you can see, through paintings, mirrors and optical illusions, a high-spirited carnival ball with ladies and gallant gentlemen. The beauty of Castle is also in the gardens that are opened to public for free. There you will find the world-famous Revolving Theatre where the famous opera singers regularly perform. After enjoying the Castle you have to spend some time in the city itself, just to walk through its maze-like alleyways, houses of rich families decorated with coats of arms and many artisan shops. Take approx. 1 more hour (without touring the interiors, 1 more hour for tour inside). 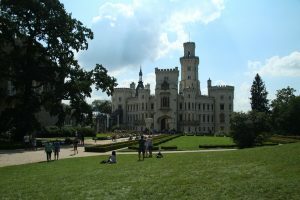 This neo-gothic castle is the second most visited castle in Czech Republic. Built in the 13th century as a guiding castle and rebuilt in 19th century according to royal castle of Windsor in England. This is the place where you will fell like a princess. 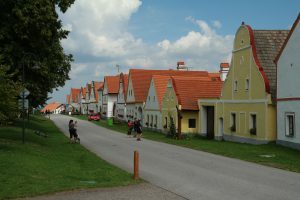 Small historic village located very close to Český Krumlov that is on the list of UNESCO World Heritage List since 1998. There is probably not another place with such a perfect connection of people and nature . The beauty of Holašovice is in the 18th and 19th century buildings in a style known as ‘South Bohemian folk Baroque”. Once you walk around you can admire 17 farms with barns and stables, local small Church of John of Nepomuk, two taverns or bakery where locals bake the best koláčky (sweet pastry).